Losing someone close can affect each person in a very different way. 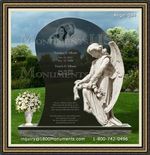 This time is particularly difficult for the family members who are dealing with their own grief while being responsible for making arrangements for interment. 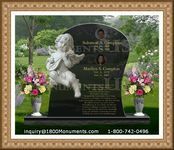 Following some of the simplest guidelines to proper funeral etiquette can make the loss much more tolerable for everyone who wishes to pay respects to the lost loved one. For the most part, these guidelines are generally a matter of common sense and good discretion, though there are a few staple principles. In situations where the deceased stipulated certain attire be worn or activities performed, these requests should be honored foremost. If they have religious or cultural traditions they wish to be followed for the service, all mourners should participate regardless of their personal doctrines, as a matter of respect. Clothing is one topic that almost always comes up in discussions regarding proper funerary behavior. The safest decision is to wear something conservative, of a dark color, with no pattern or one that is very muted and that will not draw the attention of the crowd away from the one being mourned. Unless the requests or beliefs of the deceased state otherwise, this is the best choice of attire for men and women. When attending a service, it is important not to be late. It is customary to arrive at least fifteen minutes prior to the start of service so that one may be seated and situated before the family begins to enter. If an unexpected and unavoidable delay should occur, enter as quietly as possible and either stand or sit in near the back so as not to disturb the proceedings. Expressing sympathy and offering condolences to the family is more important than one may think. Kind remarks are appreciated though they should remain sincere, brief and free of well meaning advice, whether delivered face to face or in a card. It is acceptable to share a special memory as long as it is told in short form and the focus remains on the deceased. Remember that the purpose for such ceremonies are to pay final respects to someone dear to all who attend and to provide an opportunity for them to share treasured memories. General funeral etiquette keeps the proceedings flowing smoothly, avoiding upsetting disruptions and maintains focus on the honored deceased. These guidelines are primarily matters of respect, discretion and common sense and can help anyone who is unsure of how to behave among the bereaved.